Every weekend my wife and I sit down and plan the food for the upcoming week. It’s an important but also fun little ritual that is more beneficial than just working out what we need to buy, it’s also about making sure we know what we both have going on during the week. 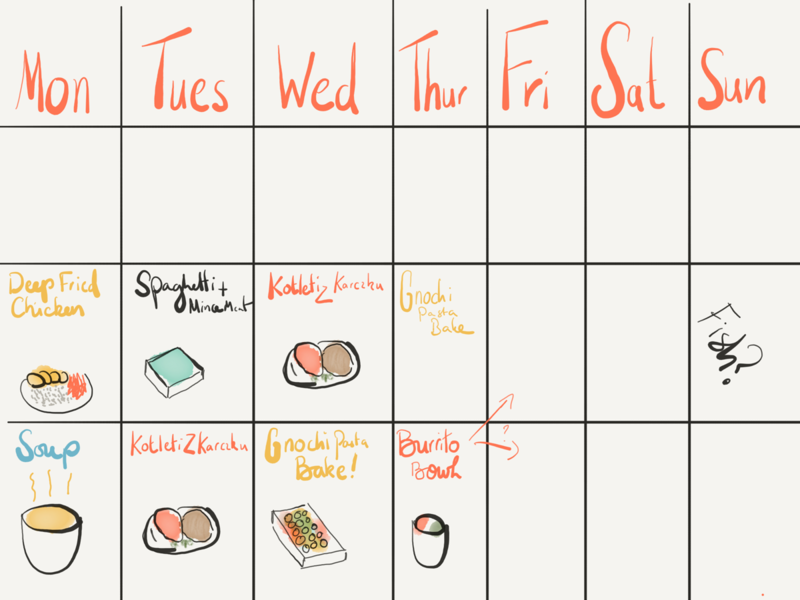 We make a sketchnote weekly food plan. When we sit down to make a meal plan we have to consider a few different things. Are we going to be busy in the evening, are we coming back later from work, can one of us prepare something in the morning or do we need to prepare something the day before? To do this, we have to go over our calendars and our arrangements and desires for the week. It can have a big impact because we don’t want to eat comfort food late at night, and at the same time, we want to make sure we get enough food everyday. The whole process doesn’t take too long, but afterwards we feel much better about the week coming up, know any appointments we have as well as knowing what we need to buy from the shops. We started just writing things down, but recently I’ve tried to make a sketchnote a day, and I realised that our weekly food plan would work well for one. 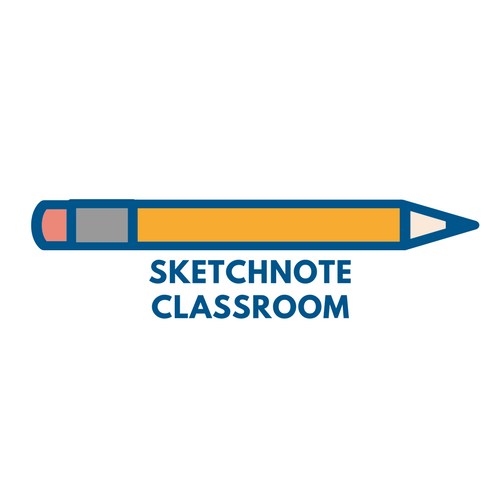 So I started to sketch it as a sketchnote. My template is really simple and I typically use Paper by 53 for it. A bar across the top for the days of the week (I usually try out some different lettering styles for each day) and then three sections, breakfast lunch and dinner. If we are in a rush, I just write the names of the food and use colours to show when we have left overs. If I have more time, then I’ll sketch the meal out.